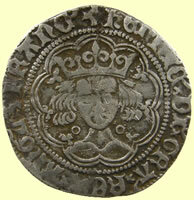 Henry was king from 1422 to 1461 and from 1470 to 1471 and whose incompetence helped cause the Wars of the Roses. 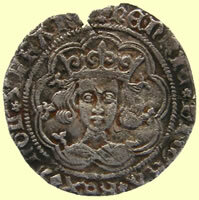 Henry was a small child when he succeeded his father Henry V in September 1422. 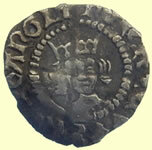 After his father's victories against the French he was also proclaimed King of France. 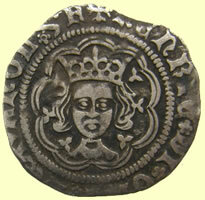 By 1437, Henry was considered old enough to rule for himself. 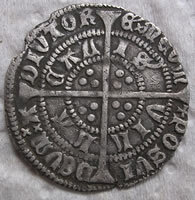 However, he was concerned mainly with religious piety and planning Eton College and King's College, Cambridge, and his court became divided. 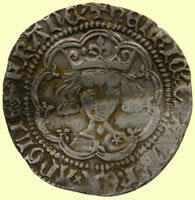 Ultimately, the Lancastrian Duke of Somerset squared up against Richard, Duke of York. 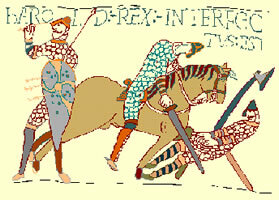 As the English hold on France eroded, Henry's government lost prestige and authority, making civil war less unthinkable. 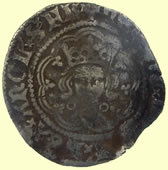 York's hopes of succeeding Henry were dashed by the birth of Henry's son, Edward, in October 1453. 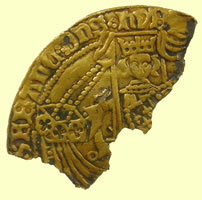 In 1455, York gathered forces and won a decisive victory at St Albans, killing Somerset and capturing the King. 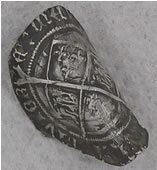 A Yorkist regime was set up and York was appointed Lord Protector when the King fell ill.
Henry recovered in 1456, York lost his power and hostilities were renewed in 1459. 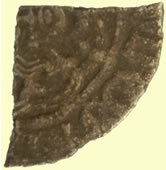 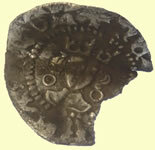 After a Yorkist defeat at Ludford Bridge, the Lancastrians took control, but their financial demands shrank their support. 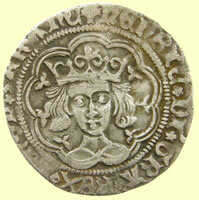 York's son, Edward, invaded England in 1460, aided by the Earl of Warwick. 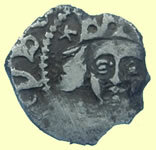 They captured Henry in July and York claimed the throne as heir to Richard II. 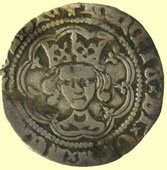 However, he was killed in battle at Wakefield shortly afterwards, whereupon his son, Edward, renewed the family claim. 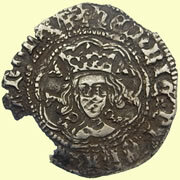 Edwards defeated the Lancastrians in 1461. 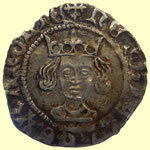 He was crowned King Edward IV in June. 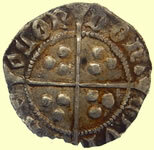 Henry fled with his wife and son, returning to England in 1464 to support an unsuccessful Lancastrian rising. 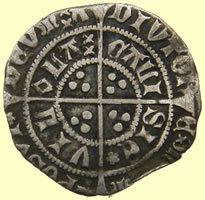 He was captured and imprisoned in the Tower of London. 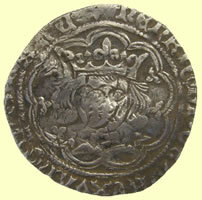 A quarrel between Edward IV and the Earl of Warwick led Warwick to restore Henry to the throne in October 1470. 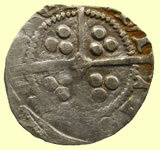 However, Edward soon returned to defeat and kill Warwick, before destroying the Lancastrian forces at Tewkesbury in May 1471. 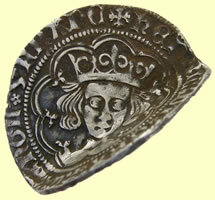 The death of Prince Edward in that battle sealed Henry's fate: he was murdered in the Tower of London soon afterwards. 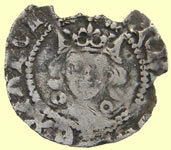 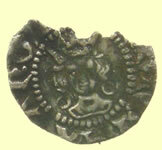 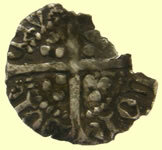 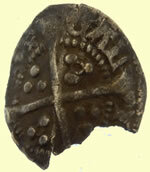 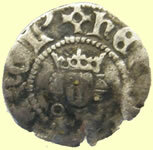 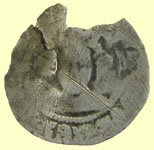 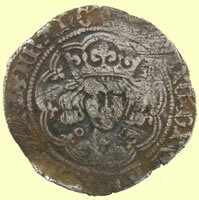 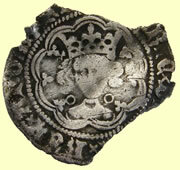 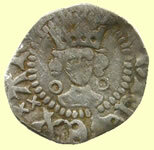 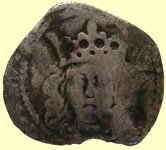 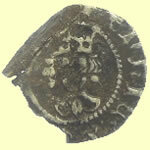 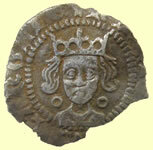 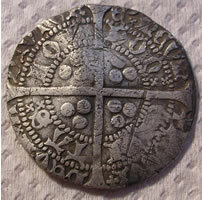 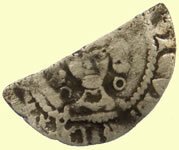 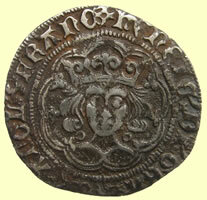 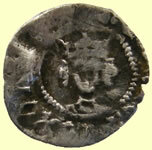 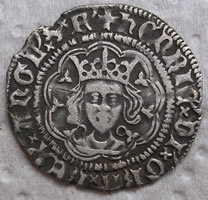 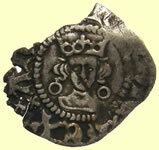 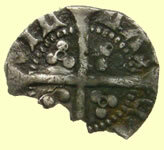 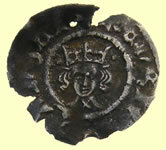 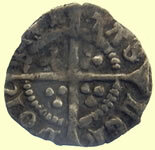 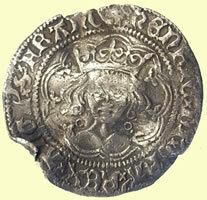 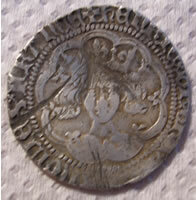 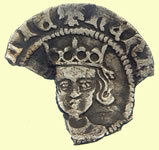 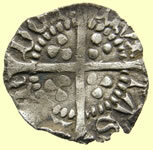 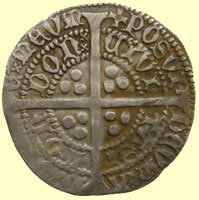 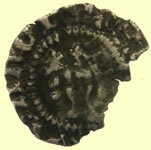 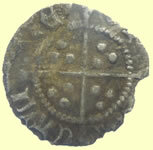 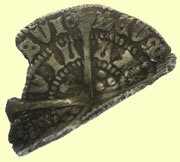 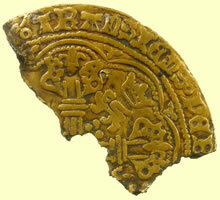 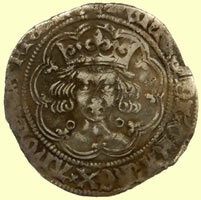 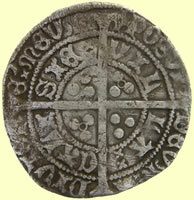 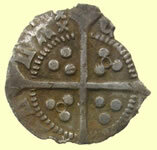 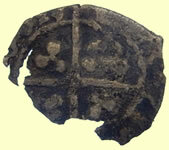 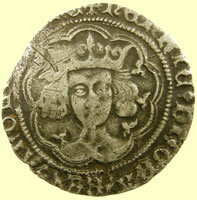 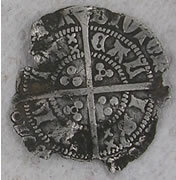 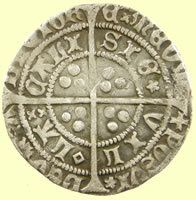 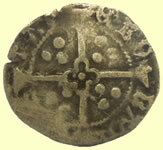 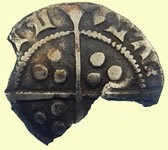 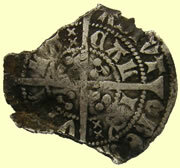 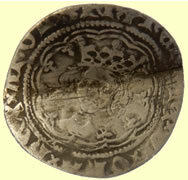 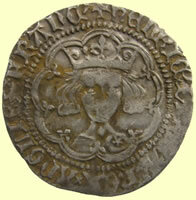 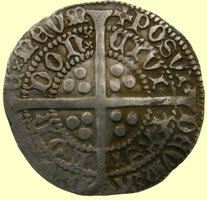 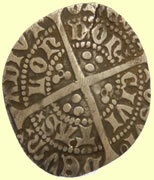 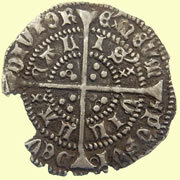 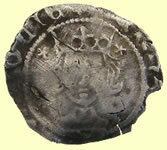 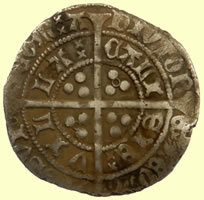 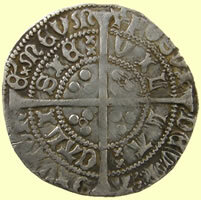 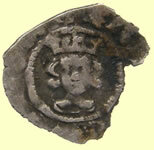 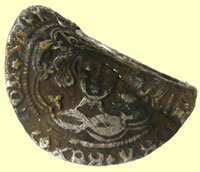 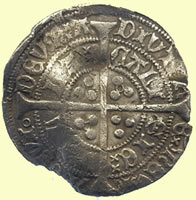 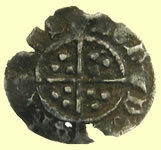 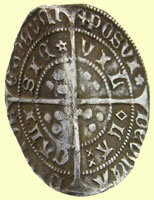 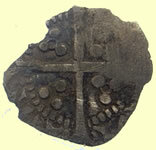 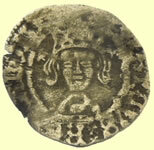 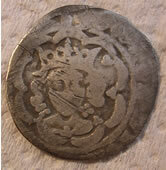 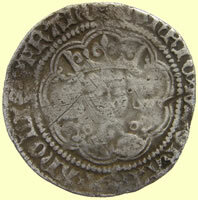 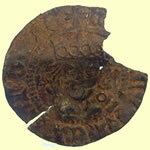 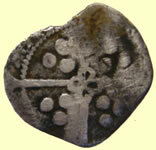 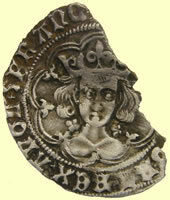 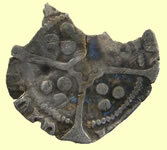 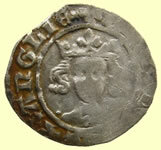 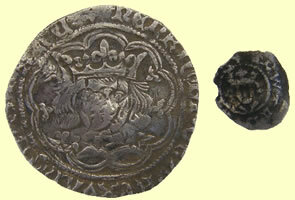 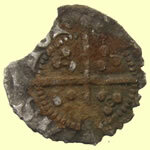 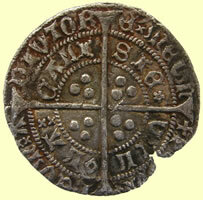 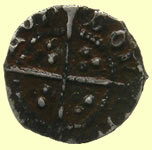 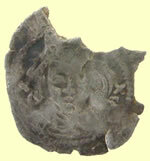 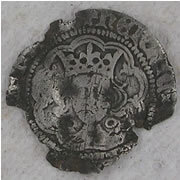 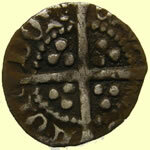 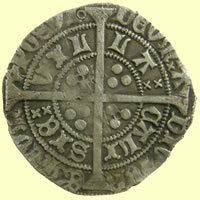 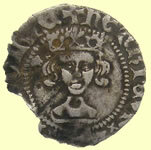 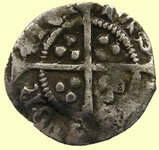 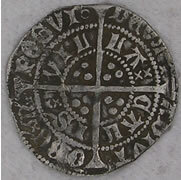 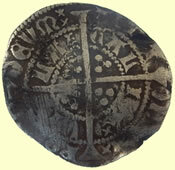 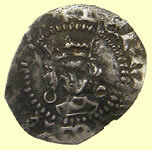 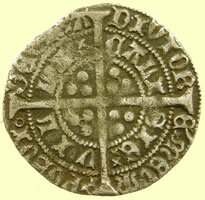 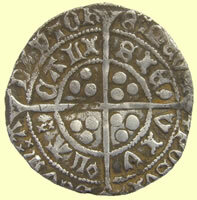 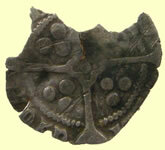 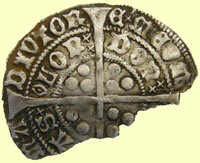 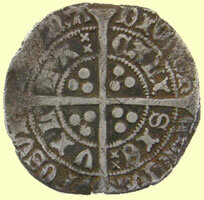 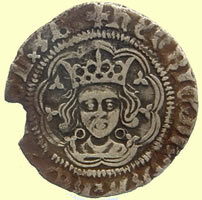 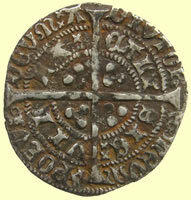 1422 Henry VI hammered silver groat - this coin has a mark between a mascule and leaf mark before LON. 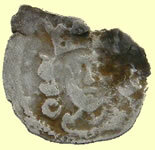 It has a pellet at centre. 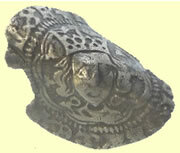 There are double satire stops but no pine cone or rosette to match the normal issue. 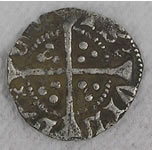 This coin is not in North, die sink error ? 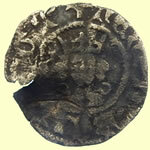 1422- 27 Henry VI hammered silver groat - Annulet issue - Annulets by neck and two sets of oppossing pellets on reverse - Incorrect spelling of Calsie - IE missing, Obv legend should end in Z FRANC ?? 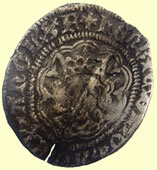 Obv hENRIC DI GRA REX ANGLIE Z B ?? 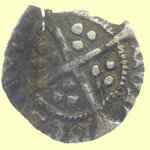 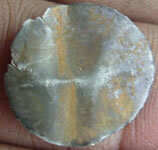 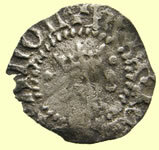 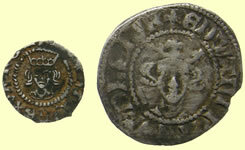 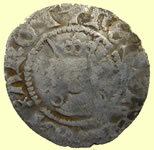 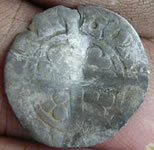 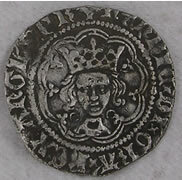 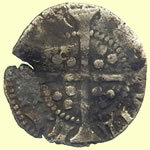 1422 -30 Henry VI hammered silver half groat - annulet issue - 2 annulets in 2 quadants in reverse qtrs. 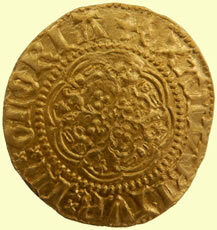 9 arches to tressure, fleurs on cusps, none over crown. 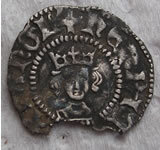 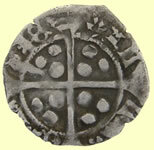 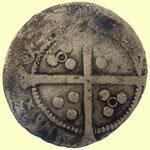 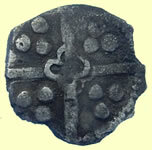 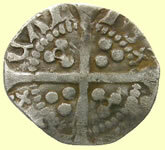 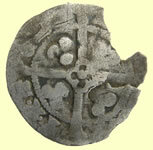 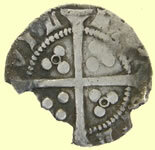 1399 - 1413 Henry VI hammered silver penny,late bust, Cross type V, Muletts by crown, quatrefoil-with-pellet at the centre of reverse cross, annulet in qtr. 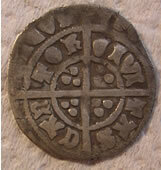 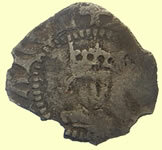 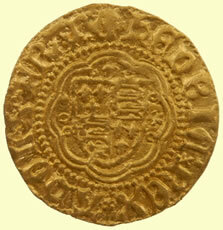 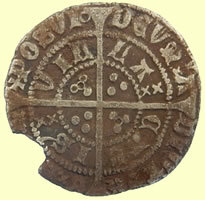 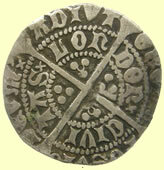 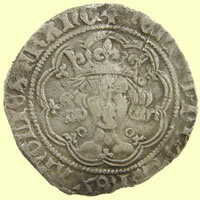 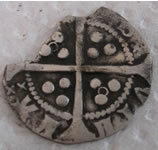 Unique coin - The rose in rev legend only appears in Henry VI coins of the Rosette Mascule issue.